Licensed since 1992. Need help with US Immigration? Get a consultation! 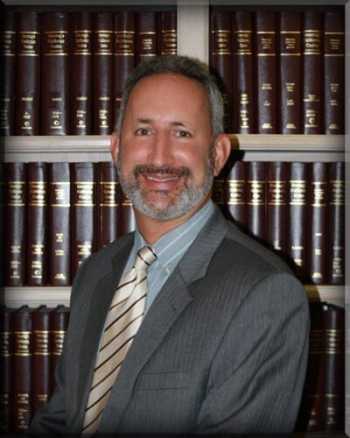 have been a licensed attorney since 1992. My practice consists of Immigration and Nationality Law. Regarding Immigration Law, about 7 years ago, I passed a rigorous examination and extensive experience requirements by the State Bar of California, Board of Legal Specialization. Iam now about 1 of only 150 Certified Specialists in Immigration and Nationality Law from a field of almost 200,000 attorneys. The Immigration Law part of my firm handles cases arising from business visas, work permits, Green Cards, non-immigrant visas, deportation, citizenship, appeals and all areas of immigration. We do EB-5 Investor Visas, H-1B Specialty Occupation, L-1 Intracompany Transferee, E-2 Treaty Investor, E-1 Treaty Trader, O-1 Extraordinary Ability among others. We also do K-1 Fiancee and K-3 Spouse Visas. Regarding immigrant visas for the Green Card, we do PERM and advanced degree PERM, Family Petitions, and Extraordinary Alien Petitions. In addition to affirmative petitions, we represent people in people in deportation and removal hearings, including political asylum, withholding of removal, and convention against torture cases. I received my B.S. Degree in Business Administration, with an emphasis on Computer Information Systems, from the University of Southern California. I graduated from the University of the Pacific, McGeorge School of Law with a Juris Doctorate degree. I have argued Petitions for Review and direct appeals all over the U.S. I am admitted to the United States Supreme Court, the California Supreme Court and the U.S. Courts of Appeals for the 1st – 11th Circuits. Please send me a note with your questions and I will be happy to help. My parents were petitioned by my uncle 14 yrs ago including myself including my uncles wich were already given their permanent residence. I am now 32 yrs old and married can I still gain residence trough this petition? The initial consultation will be free. However, I need more information in order to determine what will be best for your situation and what can be done. Please call my office at 323-454-7591 to make a consultation appointment. You can then go to either my Los Angeles office or my Long Beach office. My girlfriend inquired in your Makati City , Philippines.. office about my case..but your staff said it must be me must call you personally about my immigration problem…..I was petitioned by my father under F2b category (family base) … It was approved , but in the process , he died unexpected…. will this case be re-process within your wit and help sir ? The Naturalization Application must be filed. If done properly, it will take a few months to receive the fingerprinting notice, and then several more months to receive the naturalization interview to obtain U.S. Citizenship. Shortly thereafter, if approved, you will have the swearing in ceremony to become a U.S. Citizen. Please note that many people find themselves getting the application denied or being placed into deportation/removal proceedings because of past conduct. The total Attorney Fees will be $2,000.00. Normally we take 50% down and then the balance can be paid monthly until paid in full. We accept all forms of payment included debit and credit cards, Western Union and Money Gram. If you pay by Western Union, simply put the name Brian D. Lerner and the address 3233 E. Broadway, Long Beach, California 90803. Then you would notify me of the 10 digit control number, date of deposit and how much you deposited. You can call my office at 562-495-0554 and make the down payment through check or credit card which we will put through our secure servers and you will get electronic verification. Please let me know if you are interested in proceeding and we can start on your case immediately. Should you have further questions, you can e-mail me back or call my office at 562-495-0554. Hello my name is Nanette I try applying for my citizenship and my application was send back to me saying that I did not send the right amount of money, and my application was filed more them 90 days before meeting the residence requirement for the category selection, a copy of my permanent resident card (PRC) 2 passport style photo and a from FD-258 fingerprint card prepared by the USCIS consular office at U. S. embassy. I also receive a note that my application was rejected because of the reason indicated on the I- 797 reject notice. I have spoken with you and discussed the matter. Hello, can you help me please. I emailed you but didn’t get an answer yet. My name is Bahareh.I just watched your video about the new provision for CSPA (9th circuit). I made an appointment with you on Dec 3 and want to have a consultation about my brother’s case as soon as possible. I’m in New York. Does my brother fall under this new law? In 1997 my uncle who is the United States Citizen, applied for a green card for his sister (my mother) and the whole family including (my father, my brother and me). I was 10 years old ( born 1887) and my brother was 12 years old (born 1985). This process took a long time, almost 10 years. In 2008 our visa number became current but my brother was over 21 years old. So in 2009 we came to the United States without my brother. My mother who is the green card holder applied for (his son) my brother! It’s been 3 years and we still couldn’t do anything for him to come. I hired many lawyers and they couldn’t do anything. Can you help me on that. If you are petitioning your husband, then you must show you make enough in this year, not 2007. Alternatively, you must get a joint sponsor. Una dispensa de inadmisibilidad deberá ser obtenido. Esta es una solicitud que incluirá un escrito legal, formularios, documentos, declaraciones de exposiciones, y otras pruebas. Mi empresa puede preparar a la renuncia a todo, y adjuntar todos los documentos necesarios. Tomará varios meses para la decisión, y si se hace correctamente, hay una buena probabilidad de una aprobación. La exención en lo esencial, el crimen o el suelo de inelegibilidad desaparecer para que la entrada o reingreso se permitirá a los EE.UU. Por favor, tenga en cuenta que la renuncia es la parte crítica de esta solicitud, y aprobada a menos, no puede ser cualquier otra petición que le permitirá entrada en los EE.UU. Por lo tanto, la exención debe estar preparado con importantes documentos de apoyo. El total de los honorarios del abogado será de $ 2,500.00. My name is Aamer Shakeel and I applied for the naturalization and was rejected. I also applied for the fee waiver request. It says that I didn’t send the correct amount of check. I’ve a part time job @ costco and I’m supporting 5 people including me. I sent them out everything that I think was needed. My pay check photo copies with the rent receipt, and stated my situation in the fee waiver column. I don’t know why they rejected my application for the second time again. Help me. Thank You. The check amount is incorrect, or has not been provided. Please review the form instructions for the fee information. This is what I don’t understand. My parents never worked in the US and I’ve been supporting them with both financial and shelter. I wrote down everything in the space given on the Fee Waiver form I-912. But they still rejected the application. Please help me with my question, Thank You. Hi, my name is Madlin. I sent in a fee waver and i got it back with a notice that states that the check amount is incorrect or not provided eventhough i dont work. My husband sent in a waver too and he got accepted and the household income is comming through him. I dont understand why they rejected mine? It is critically important that you get qualified and expert representation for the deportation/removal hearings. The Government will try to get the deportation issued. Neither the Immigration Judge, nor the Trial Attorney are there to help you. There are different forms of relief available which could result the granting of Lawful Permanent Residence. However, this requires large applications to be prepared and the necessity to prepare for trial. My firm has done this for several years, and if done properly, there is a very reasonable chance that it will be successful. If not done properly, the deportation order will be issued and your current way of living in the United States will end and you will either be on the run or be forcibly removed from the United States. The total Attorney Fees will be $6,500.00. Please help me! My mother has been arrested for a warrant she had for driving with a suspended license. During this process, INS put a hold on her because although she is a legal permanent resident, she had a felony in the past for receiving stolen property. PLEASE HELP. Is it possible that she gets deported? Im a U.S Citizen and my live in partner for 8 years is an illegal immigrant.we have 2 kids.im planning to get married to her.Is.there gonna be a problem if i did marry her because of her status.i need some legal advice about it coz we really want to get married at all. I am looking for someone who has some knowledge or previous experience with the N-600k application process. Specifically Section 322 of the INA and Act 101(b)(1). Are you familiar with this? Can you help me? Hi my name is Kuku and I relly need help. I recently applied to change my status and my application was rejected and I am confused why. on the notice it mentioned that I put incorrect check amount. I-485,$985 and $85 separately for biometrics. so i am confuesd, is there anyone who can help me with this please ? Please respond to me with the correct answers…thank you! Please skype me at briandlerner for more information. I really dont know if i am right to ask this question i this site but i wanna try it for i really need help on my situation. There are different things that can be done. However, first, were either your mother or father a U.S. Citizen? If so, before you turned 18? Hello my name is Agustin Sanchez,and i was deported on gun charges in tucson, az,in 2005.